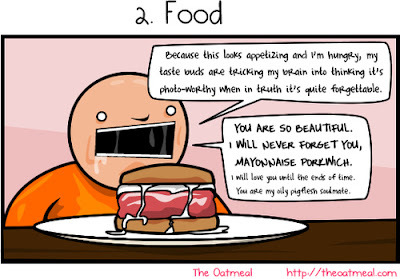 The Oatmeal is so spot on sometimes. Yes, I am addicted to taking photos of food, but I try to be discreet and I try to do it as quickly as possible. Now, it's not that I totally agree with everything he says here, but his Seinfeld-esque observations make me laugh.